 Mondo Imports delivers by self-operated couriers Monday through Saturday, to Melbourne Metropolitan and inner Suburban daily. Further to this, we use the services of Australia Post and Fastway to cover areas where we do not Australia Wide. While we will try to ensure next, and even in some cases same day delivery; we are human. Sometimes there may be certain delays in ordering and therefore we kindly request that orders placed are given as much notice as possible. We do not guarantee a specific time frame for turning around orders, unless they are couriered out at additional cost to the purchaser. Please note, at this time our food products are available only by delivery with our courier to Melbourne CBD and select inner suburbs. While we ship wine free, every other product attracts a freight charge that will be calculated for you on request dependent on quantities.